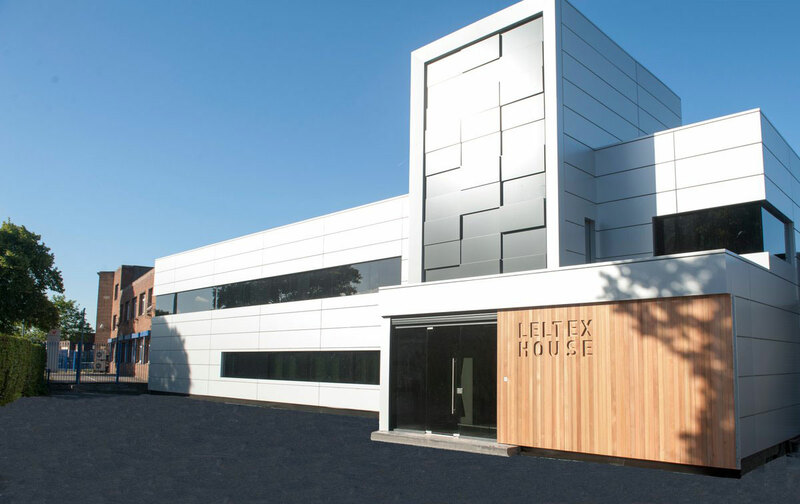 The Leltex House in Manchester is home to Hartbrights Sign Solutions/Architectural Cladding Systems in the UK. 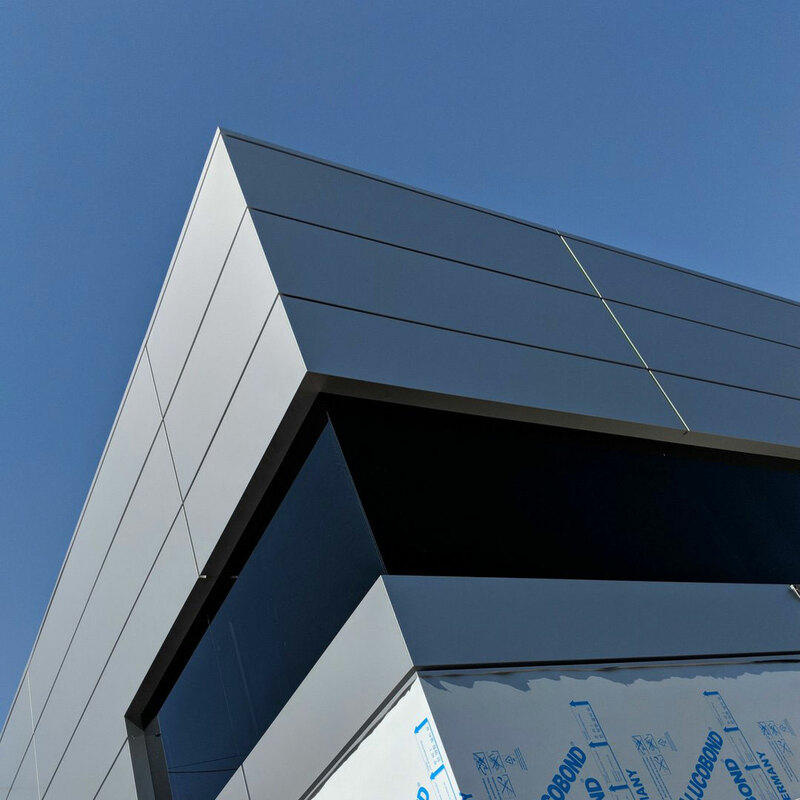 The team specializes in a variety of signage and printing capacities but has recently branched into the architectural cladding market. 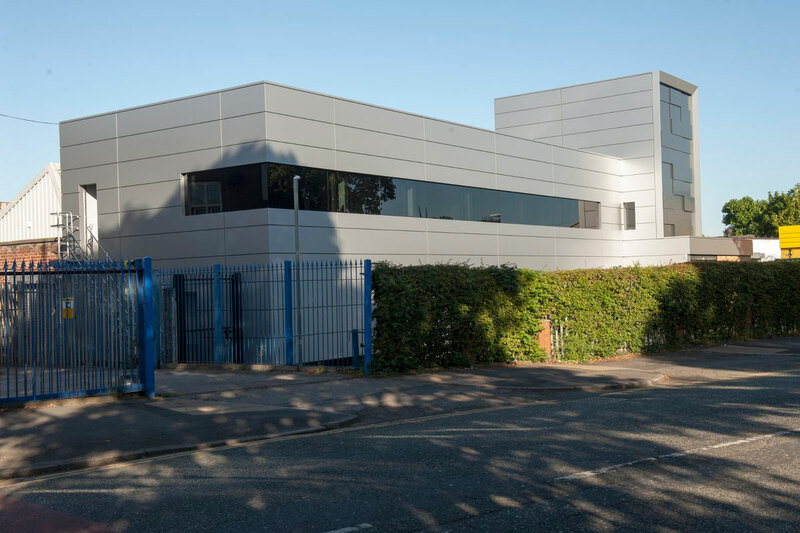 To showcase their rainscreen cladding system they chose a modern redesign of their own office complex that serves a duel purpose of providing the company an updated facility and also showcases to potential clients their cladding capabilities. 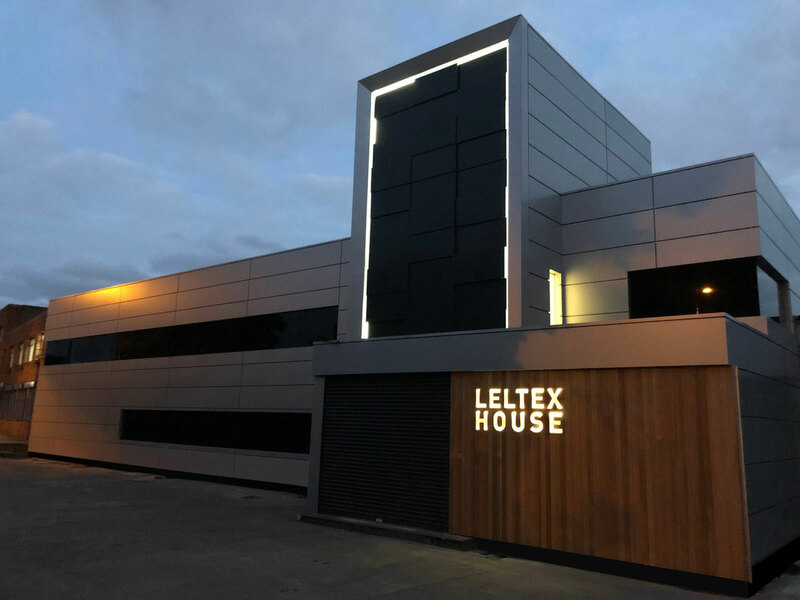 The project was completed in multiple stages, the first of which included the removal of all original signage and cladding materials from the exterior. Additionally, in order to provide a more contemporary entrance the team also removed the original front doors. They then used the renovation as an opportunity to expand, creating a second floor for additional office space. The tower and roof were rebuilt as well to create a waterproof alternative and to make way for the enveloping aluminum cladding system. 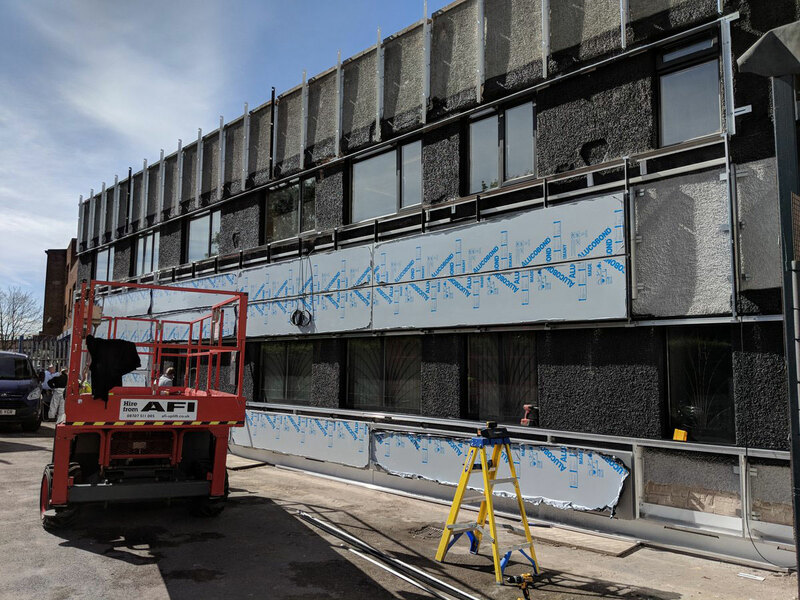 Due to the age of the building and the team’s decision to retrofit the cladding system versus demolition, the installation of the metalwork required painstaking accuracy to account for the inconsistencies in the existing walls. Providing a modern aesthetic, Hartbrights chose the Silver Metallic and Anthracite Grey finishes. The finishes both complement and contrast each other. 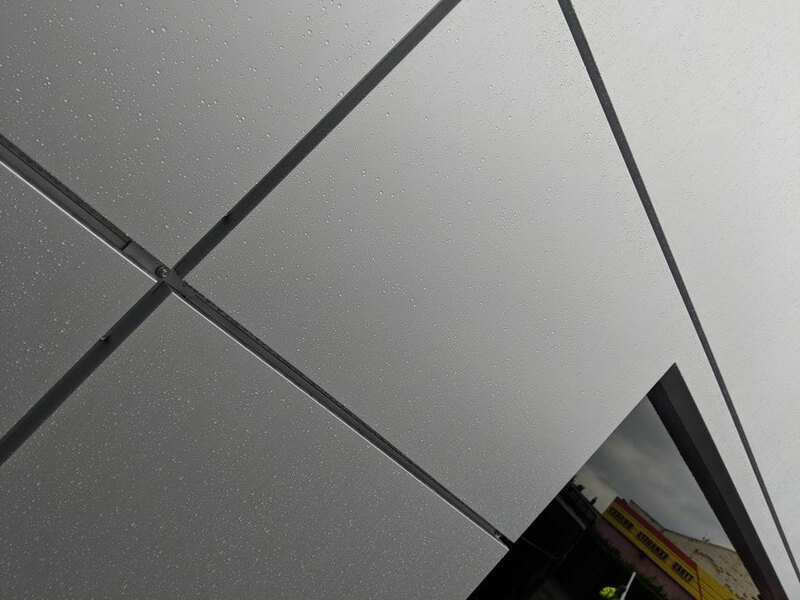 The ease of installation allowed the majority of the cladding to be fabricated and installed in a short time frame. The addition of the hardwood cedar panels, LED lighting and tinted windows offer even more modernity to the exterior. 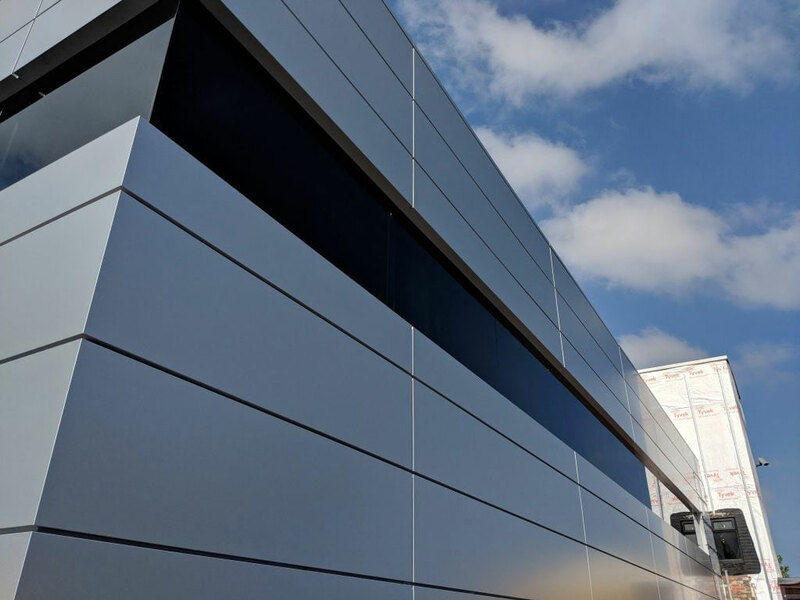 From conceptualization to completion in just six weeks, Hartbrights Architectural Cladding showcased their impressive capabilities to the market.